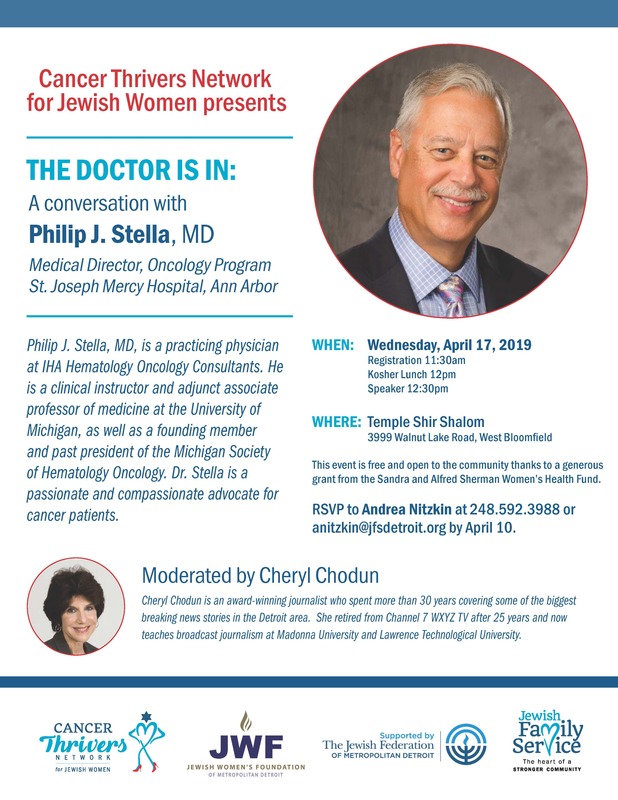 Dr. Stella is a practicing physician at IHA Hematology Oncology Consultants, a clinical instructor and adjunct associate professor of medicine at the University of Michigan, and a founding member of the Michigan Society of Hematology Oncology. Award-winning journalist Cheryl Chodun will serve as moderator. This event is free and open to the community thanks to a generous grant from the Sandra and Alfred Sherman Women’s Health Fund. Please RSVP by April 10th.